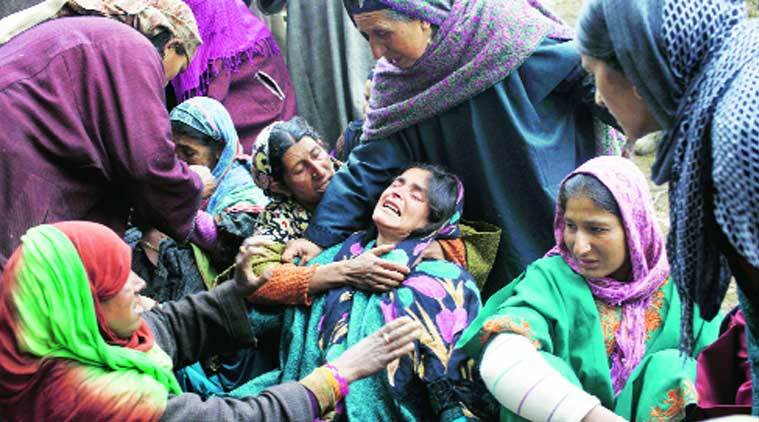 Officials said the government has already made evacuation plans for Srinagar residents. With the Meteorological Department warning of a fresh spell of rain and flash floods in the Kashmir valley from Wednesday, police have set up a special 24×7 helpline number, which in the last two days has received around 30,000 calls and messages from people across the Valley. “We have received around 30,000 calls and WhatsApp messages as well as pictures from people across the Valley about the flood situation,” said police spokesperson Manoj Pandita. “Many people were in distress, while others inquired about the possibility of Valley getting flooded again,’’ said an operator manning the helpline. M R Gunj, Safakadal and Parimpora areas of Srinagar. “With the help of the locals, sand bags have been placed at the possible breach sites,” he said. Meanwhile, the water level in Jhelum was flowing at 16.45 feet at Sangam in south Kashmir, down over six feet as compared to 24 hours earlier. The water level at Ram Munshi Bagh in Srinagar also reduced by more than one-and-a-half feet and it was expected to drop further by the night. However, Education Minister Nayeem Akhtar said their biggest worry is the forecast of heavy rains in next 24 hours. Meanwhile, schools and colleges have been closed across the Valley and exams have been postponed. University of Kashmir, however, will hold examinations as per schedule from Wednesday. As rescue operations continued, the Centre said the flood situation so far is not as grave as last year. “Situation is not as grave as last time. But we are fully alert and if required we will send more assistance,” Home Minister Rajnath Singh told PTI in Bagdogra in West Bengal.